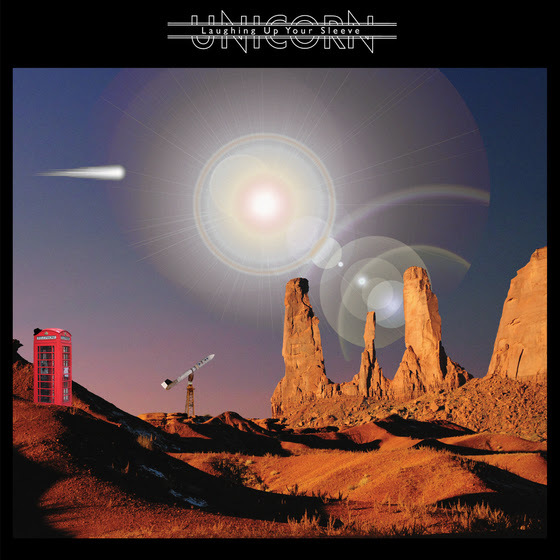 Back during the early-to-mid-‘70s, England’s Unicorn was plowing a similar country rock-styled vein as pub-rockers like Brinsley Schwarz, but their American West Coast musical leanings were tempered by the inherently British folk-rock sound of primary songwriter and guitarist Ken Baker. Pink Floyd guitarist David Gilmour became a huge Unicorn supporter, picking up on them after the 1971 release of their debut album, Uphill All the Way, and subsequently producing three wonderful albums and opening more than a few doors for them in the industry. With a trio of fine albums to tour under, and an indelible connection to (then) world-beaters Pink Floyd, Unicorn pulled down opening slots with ‘70s-era heavyweights like Fleetwood Mac, Linda Ronstadt, Billy Joel, and the Doobie Brothers. Still, none of those Gilmour-produced records – 1974’s elegant Blue Pine Trees, 1976’s more rock-oriented Too Many Crooks, and 1977’s band swansong, One More Tomorrow – performed very well commercially in spite of their overall creativity and excellence and the band would break up. Still, those albums garnered new fans through the years and were ripe for rediscovery when U.K. archival label Esoteric Recordings reissued all three titles in 2017, expanded with bonus tracks and fresh liner notes. 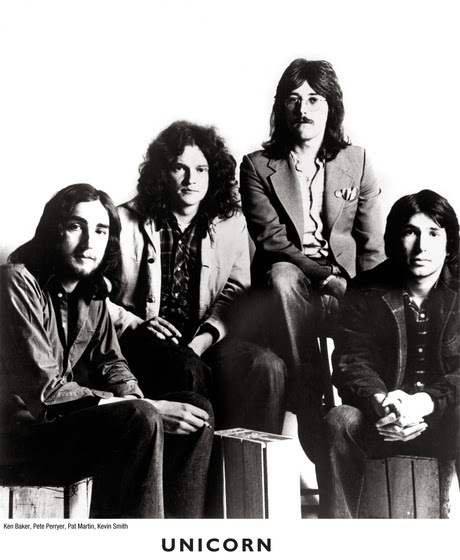 Laughing Up Your Sleeve also includes never-before-seen and recently rediscovered photos of the band that document their working in the studio with Gilmour and performing live onstage in London. Liner notes go into detail about the band’s history and the finding of these long-lost recordings with new interviews with Gilmour and original band members. The album was produced by the band’s Pat Martin from the restored original multi-track tapes and are said to feature remarkable sound quality (not surprising, as the band’s sophomore effort, Blue Pine Trees, is as sonically gorgeous an album as you’ll ever hear). David Gilmour, quoted in the album’s new liner notes, says “one could say that Unicorn didn’t want success quite enough, or that they just weren’t prepared to compromise their music to better fit into the competitive world of popular music. Their music still gives me great pleasure.” The band’s unique blend of American influences like the Band and Crosby, Stills & Nash and homegrown favorites like Ray Davies and Syd Barrett resulted in some incredible, timeless music that is ripe for rediscovery here in the 21st century.